Heavy Rain (amazing, but buggy) – Nick. I finished playing Heavy Rain a week or so ago. It’s a gorgeous game… let down by technical issues (particularly if you have an older Playstation 3 apparently). It is absolutely a landmark game. As I mentioned in an earlier post, it feels like a contemporary interpretation of classic adventure games (in particular, it reminds me of Westwood Studio’s Blade Runner game from 1997). It eschews recent game design dogma of emergent gameplay in favour of a highly scripted experience in which the player is as much a detached witness as an engaged participant. One of Heavy Rain’s greatest achievements is that rather than forcing the player to control the minute details of what a player-avatar does, it charges the player with controlling how the story unfolds. Although there are some elements of fine motor skills (mostly reaction time), control is generally restricted to scene exploration and event flow. When combined with high-quality cinematic presentation, this makes the game quite accessible and focuses the player on the story. 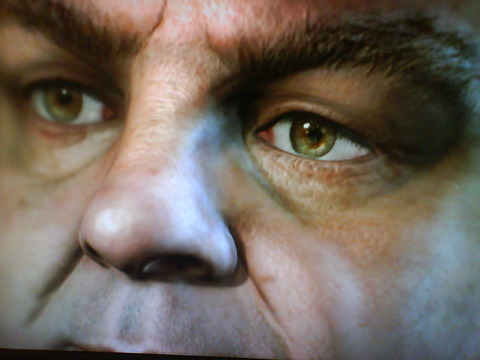 Something that really stood out to me was that Heavy Rain doesn’t ask the player to make many concessions. Most games (particularly those from classic game houses such as Nintendo and Sega) tend to expect that the player will just accept certain limitations as inherit to videogames. For example, characters might be fully animated in cut-scenes but then have fairly limited animations and no voice acting (text balloons only) during gameplay. This doesn’t really stand out to those well-versed in the grammar of videogames, but it can be incredibly jarring for non-gamers when previously lively characters turn into zombies. Heavy Rain is part of a new wave of games (including Mass Effect) from contemporary studios (including Bioware) that clearly aim to target a mass market audience without compromise. The fact that they have been relatively successful in this goal is a tribute to both the studios’ production values and the power of current generation consoles. However, it’s still early days in this bold new world of truly mainstream games and quality, design, and technical issues still remain; You still need to be a fan in order to overlook limitations of the medium. All of these shortcomings really didn’t matter to me, because the game still hit the mark. I made some concessions in order to really enjoy it, but less than any other game I have played since Grim Fandango. It is definitely a landmark title that any (self-styled) game critic or fan should aim to play. Put game into Playstation 3, wait for ages while it update the Playstation 3 bios and installs to the HDD. It plays alright until Ethan enters the bathroom at which point overt rendering problems make it look like he some sort of geometric skin condition. Continue playing hoping that it was a temporary isolated graphical problem. Experience various problems with character models not updating (the kid Ethan looking for is standing right in front of him and nothing is happening). A few scenes later and the screen goes black while continuous loud static bursts out of the speakers. Eventually (gingerly) turn off the Playstation 3. When I turn it back on it no longer outputs a video signal. Disconnect and reconnect everything forcing the Playstation 3 into recovery mode (which you’re probably not meant to know about). Rebuild the Playstation 3 game database, restore the file system, and reinstall the latest bios. Delete Heavy Rain game and save data and then setup internet access in order to download and apply the latest patch. From that point on it worked a lot better, but there were a number of issues still remained. Most notable were audio drop-outs and points in which commands stuck around after they were meant to expire. For the entire last level any time I pressed the “X” key, one of the characters would yell something out… even during cut-scenes… sigh. I’m disappointed that Quantic Dream were so uncompromising on their vision and content production values, yet obviously compromised basic technical quality. I suppose that this is one aspect of game development that is better addressed by old school studios (who couldn’t release patches for their offline, cartridge-based systems). 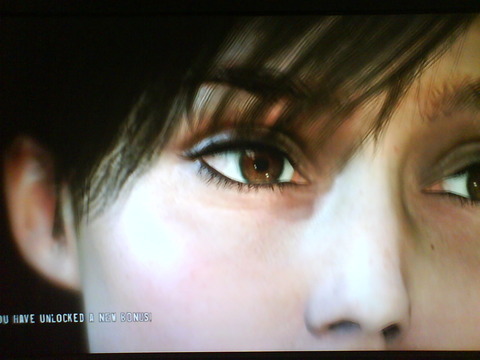 Still I wouldn’t overlook Heavy Rain due to technical problems (even though it put my Playstation 3 into a coma). Just be sure to download the latest patch… or maybe wait for the “Platinum” edition.